coconut chutney recipe | nariyal chutney recipe | chutney for dosa & idli with detailed photo and video recipe. 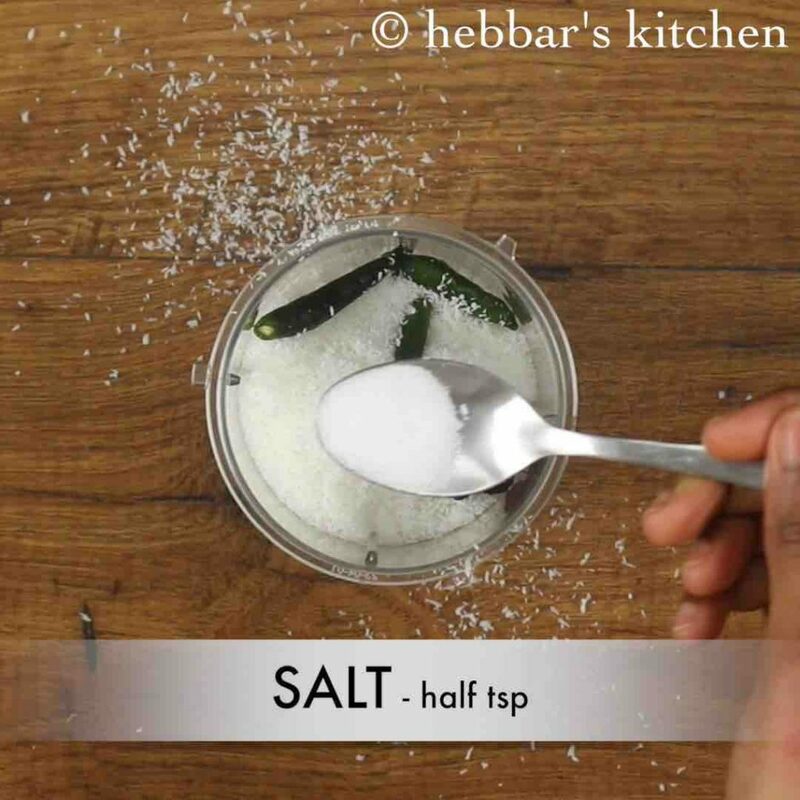 popular south indian condiment or side dish, mainly prepared for breakfast for idli, dosa and vada. this simple chutney recipe is also known as idli chutney, dosa chutney, thengai chutney or easy chutney recipe. coconut chutney recipe | nariyal chutney recipe | chutney for dosa & idli with step by step photo and video recipe. 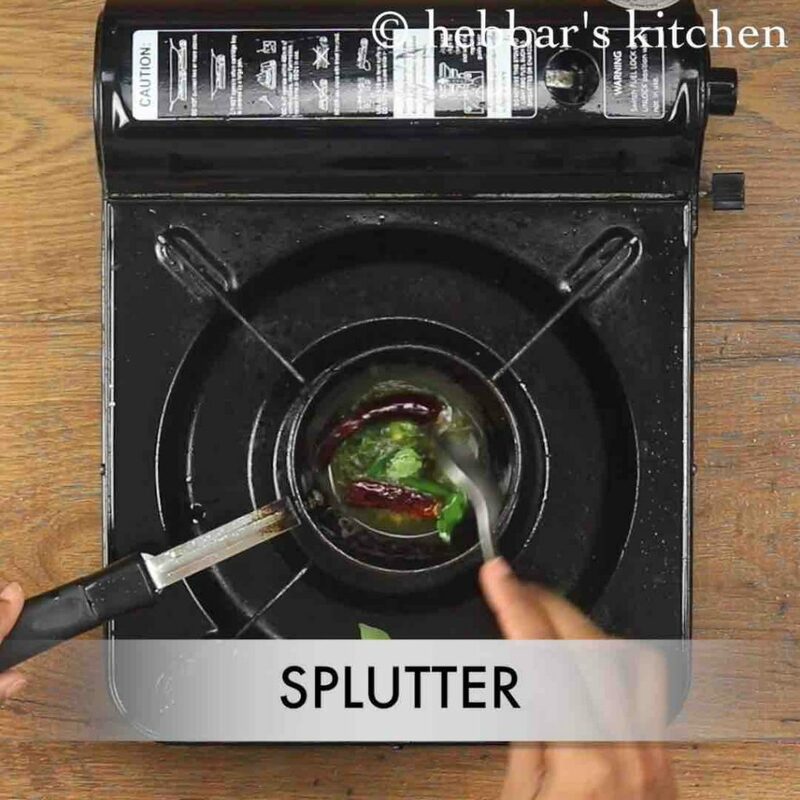 the chutney is mainly prepared with coconut pulp which is ground with green chillies, tamarind and salt. it is later tampered with mustard seeds, urad dal, red chillies and curry leaves which adds flavour to it. it is served with idli, dosa, vada and even pongal recipe. 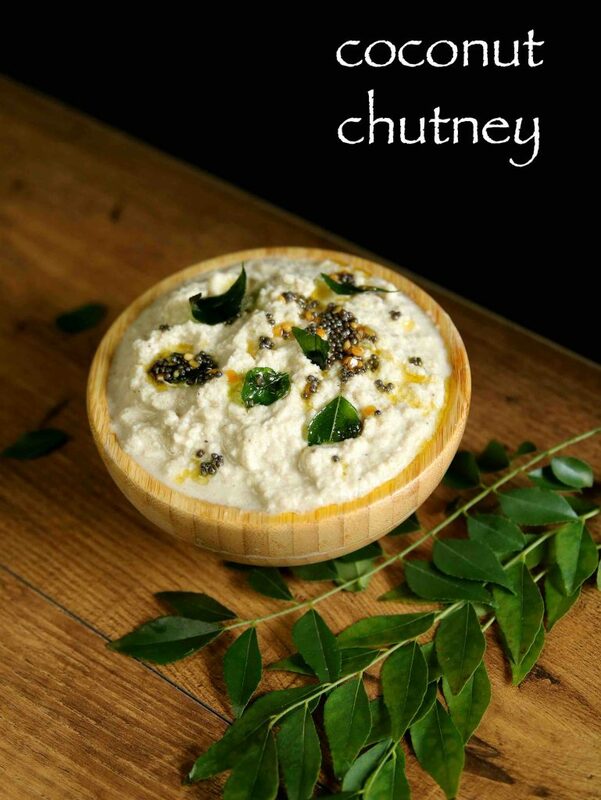 there are several chutney recipes from the south indian cuisine palette. 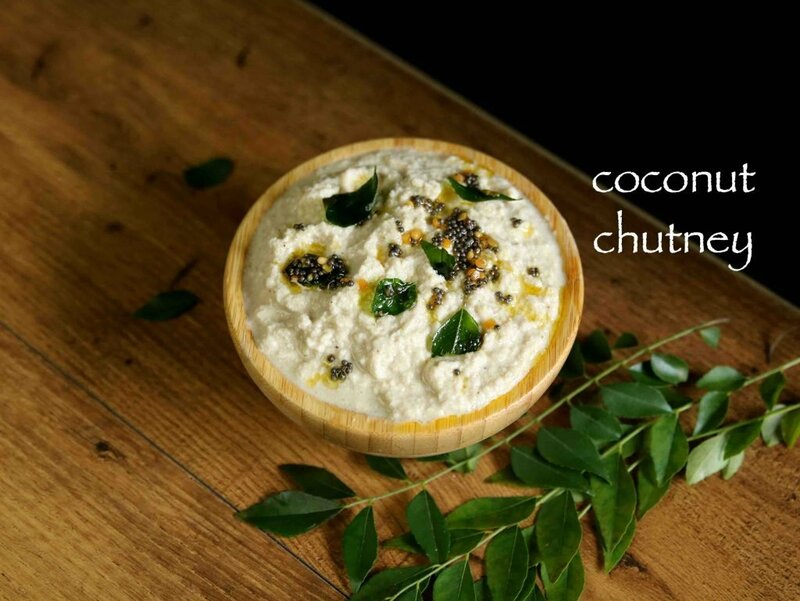 but without any doubt, coconut chutney is the king of all chutneys. perhaps the popularity of south indian breakfast recipes is complete without the existence of nariyal chutney recipe. hence i guess it is also known as idli chutney or dosa chutney. further there are many adulterated version of nariyal chutney recipes too. these recipes include, adding peanut, roasted chana dal or putani and even sometimes onion and garlic. but nothing can replace the simple touch of plain coconut chutney recipe. 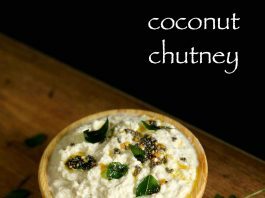 while there isn’t any complicated steps in this easy coconut chutney recipe, yet some tips and recommendations. firstly, i have used dedicated coconut for this recipe as i did not access to fresh coconut. i would heavily recommend to use fresh coconut if it is available for you. secondly, i added tamarind directly to the mixer jar as it was soft and smooth. alternatively you can soak in warm water for 5 minutes if your tamarind is hard and solid. 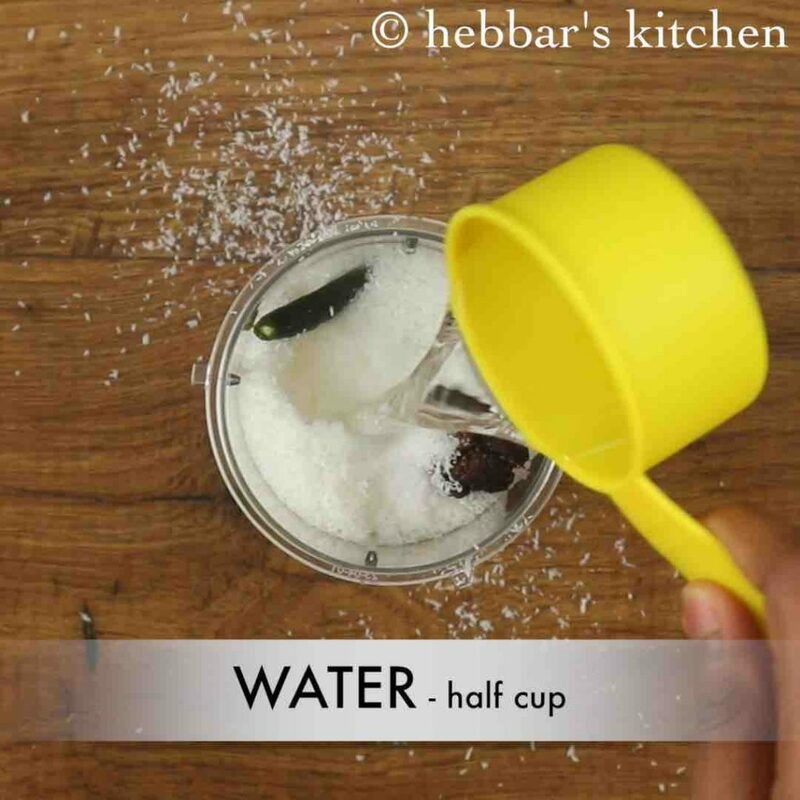 lastly, while grounding add hot water in the place of cold water for better result. firstly, use fresh coconut for more juicy and flavoured chutney. also add roasted peanuts / gram dal for restaurant style coconut chutney recipe. 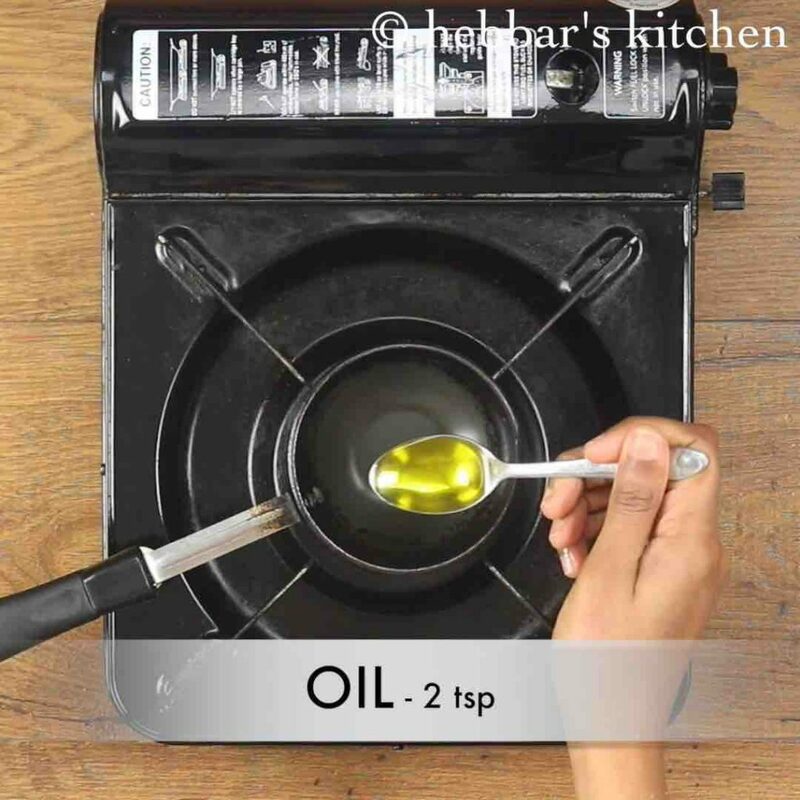 additionally, add coriander leaves for different flavour. 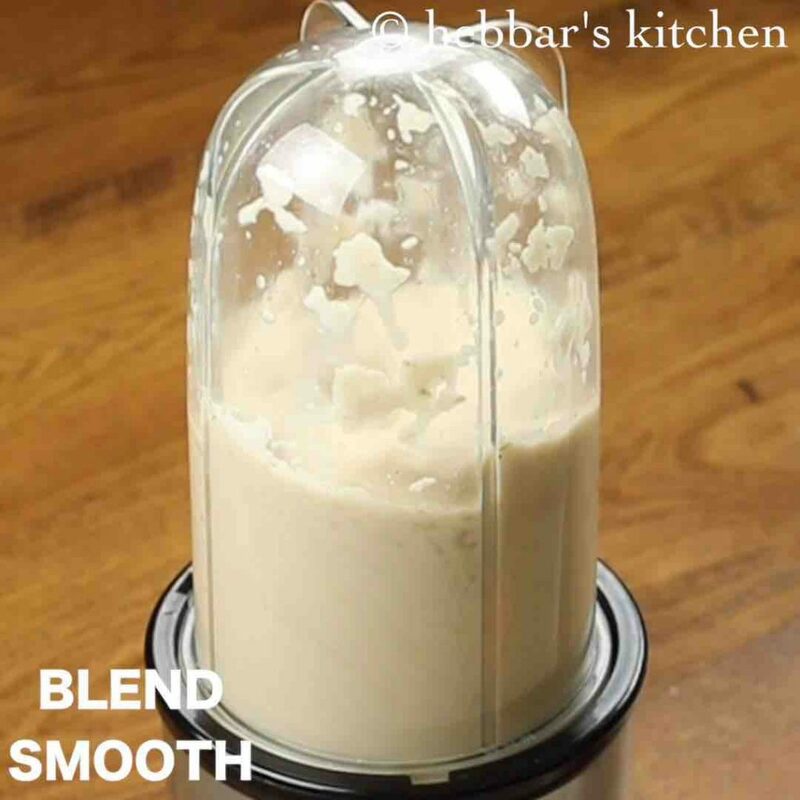 finally, adjust the consistency of coconut chutney to your choice.